Home > Estimates > Estimates - FAQs > Can I Convert an Estimate into an Invoice? 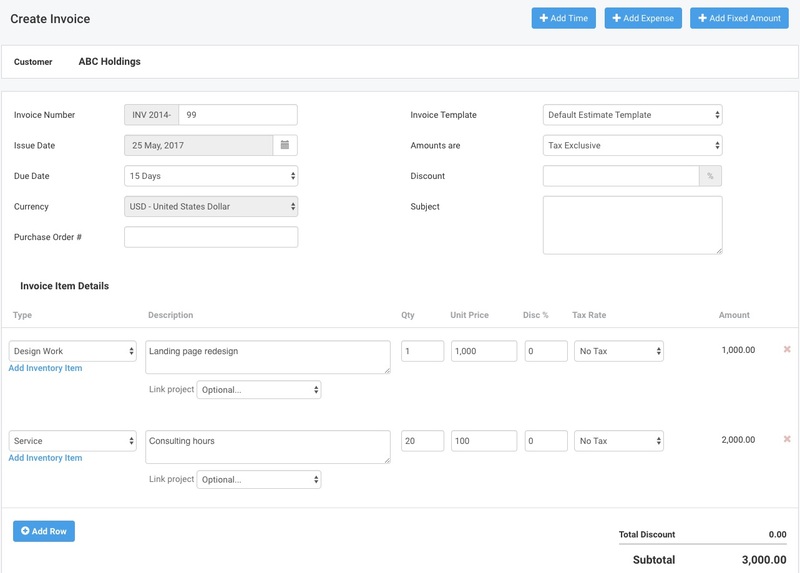 To convert an Estimate into an Invoice, navigate to Quotes/Estimates and click on the Estimate you want to convert. In the top-right, you will see a button “Create Invoice”. Clicking on the button will create a new invoice with all the information copied across from the estimate. You can edit the information if you need to on this screen. Once the invoice is saved, the estimate status is updated to “Converted”. An Estimate can only be converted into an Invoice once.